The game could return to the Tar Heel State as early as 2019. The All-Star Game could be moved back to Charlotte at early as 2019, should House Bill 2 be amended. During a ribbon-cutting ceremony on Tuesday, Adam Silver, the commissioner for the National Basketball Association, said that bring the game back to North Carolina is a “high priority given the investments in the arena.” The match was originally scheduled to be held at Charlotte’s Spectrum Arena, formerly known as the Time Warner Cable Arena, on February 17. "We were in an unfortunate position that we were moving the game," Silver said of the July decision to pull the game in protest of HB 2, one of the nation’s harshest anti-LGBT laws. Introduced, debated, and passed in a single day, the law forces transgender people in North Carolina to use public bathrooms that do not correspond with their gender identity when visiting schools and government buildings. HB 2 also strikes down local nondiscrimination laws across the state while preventing local legislatures from enacting their own protections for their LGBT population. 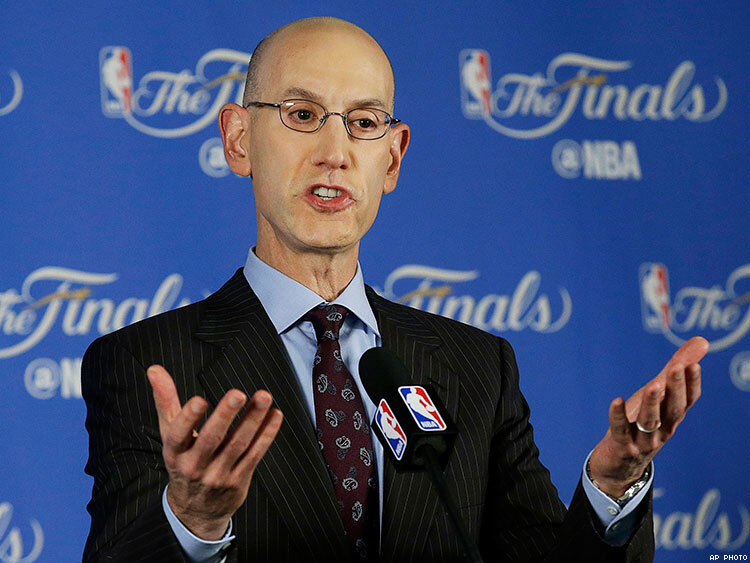 Silver restated that the league — first and foremost — remains committed to fairness. He also claimed that the decision to move the game has been universally supported by the 30 team owners who represent the league. That said, Silver refuses to rule out the possibility of allowing Charlotte to host future events. In February, the city passed nondiscrimination laws that provided equal access in public accommodations, which include restaurants, museums, city parks, and public restrooms. That historic measure triggered anti-LGBT backlash from the state government, which lead to to the passage of HB 2. Although Charlotte Hornets chairman Michael Jordan did not speak on the future of the All-Star Game, he has previously condemned HB 2. Fred Whitfield, president of the Hornets, hinted that the All-Star Game’s fate could change following the November 8 standoff between Gov. Pat McCrory and Roy Cooper. The two men are currently embroiled in a tight race for the governor’s seat. Although Cooper, the state’s attorney general, has led by as many as six points since announcing his candidacy, the race has tightened in recent weeks. According to current poll averages from Real Clear Politics, the Democratic challenger leads McCrory by just 1.3 points. “My hope is that things will be resolved pretty quickly after the election,” Whitfield told the Charlotte Observer. The NBA, however, is just one of the many sporting entities that have protested HB 2. In September, the National Collegiate Athletic Association (NCAA) announced that it would be pulling seven championship games from the Tar Heel State, followed by similar decisions from the Central Intercollegiate Athletic Association (CIAA) and Atlantic Coast Conference (ACC). The latter, which represents college teams like Clemson, Florida State, and Duke, opted to move its championship match from Charlotte to Orlando, Florida. To ensure the 2019 All-Star Game is played in Charlotte, speculation suggests that the law would have to be overturned or fixed by 2018.